DSR-1 Police Sniper Rifle .300 Win Mag. .308 Win, 338 Lapua Magnum. 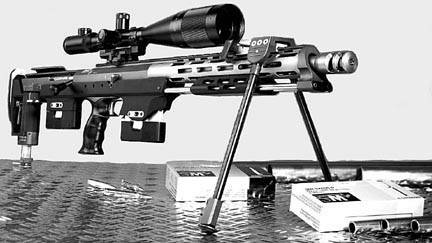 This rifle was evolved from the now discontinued ERMA SR-100 sniper rifle. It currently being manufactured by a German company, AMP Technical Services.